This is a portfolio of products. That's the best way to promote your work, products or services. 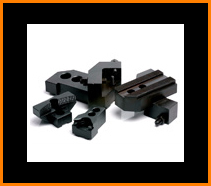 POWER CHUCKS" and chuck spares manufactured by THE JAWS MFG CO. These chucks were earlier manufactured by M/S Batliboi & Co. 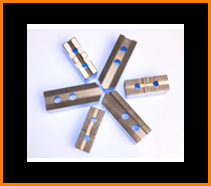 These are used to bore soft jaws on manual lathes and CNC machines. 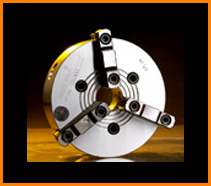 These are used for actuating Power Chucks/ Collect Chucks on any machine. These are Taiwanese chucks and we are the dealers for the same in India. 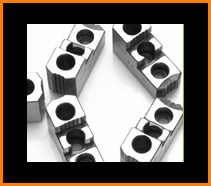 These have been designed to hold work piece in between centre having eccentricity. 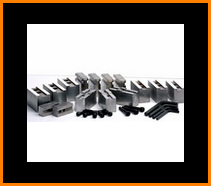 We manufacture all types of soft jaws – standard as well as per customer requirement. 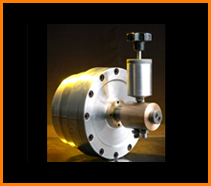 We manufacture all types of hard jaws – standard as well as per customer requirement. 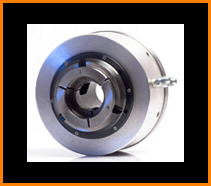 We manufacture Scroll Plates and Pinions for all types of self-centering chucks. 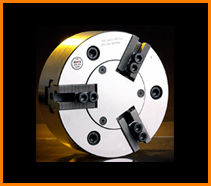 Soft Jaws and Hard Jaws for NC, CNC and machining centre machines is our speciality. 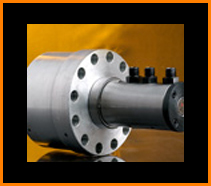 Rotating double acting air cylinders are common means of actuating power chucks on turning machines, for to and fro movement mechanism.